Georgia O’Keeffe hitching a ride to Abiquiu, Ghost Ranch, 1944″. The painter, Maurice Grosser, visited his friend O’Keeffe’s ranch in 1944. 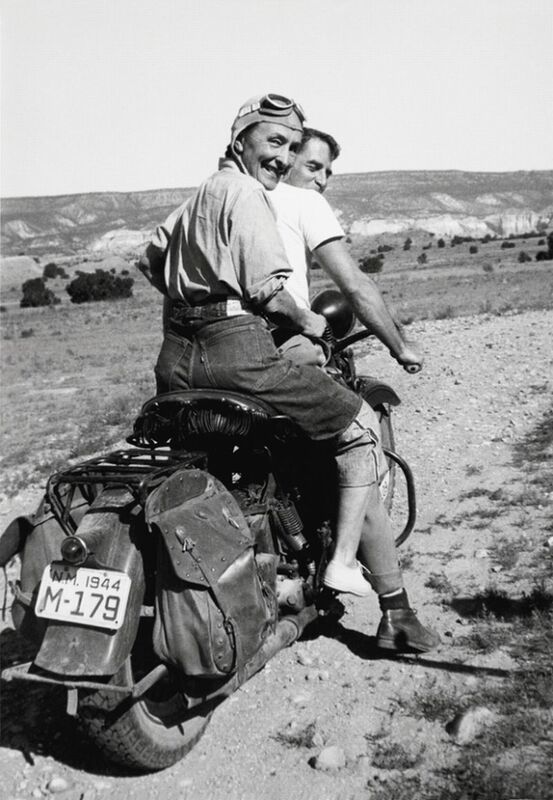 Maria Chabot photographed O’Keeffe and Grosser on his 1938 Harley-Davidson. ......That look on O’Keeffe’s face says it all.